New Zealand’s beautiful, isolated islands are surrounded by some of the most pristine waters and abundant seafood in the world. As a nation we prize what we have here and are passionate about managing it sustainably for generations to come. New Zealand’s Exclusive Economic Zone (EEZ) is the fourth largest in the world, covering approximately 4.4 million square kilometres of ocean, ranging over 30 degrees of latitude - from the subtropical Kermadec Islands to the subantarctic Campbell Islands. With an EEZ up to twenty times the size of our land area, we take the management of it very seriously. 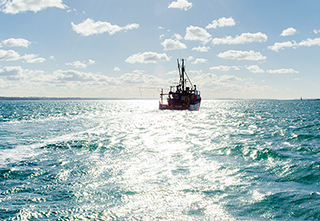 Despite our large EEZ, New Zealand uses just 35% of its available fishing waters to produce about 1% of the world’s fish catch, and our seafood industry invests over 2% of gross returns back into research and development, with a strong environmental focus. In 2009, New Zealand was one of just two countries to achieve a top ranking in a review of fisheries management systems around the world. A second study on the management of marine resources ranked New Zealand first among the world’s 53 major fishing nations. Due to our remoteness, New Zealand was one of the last countries in the world to be settled. Located approximately 1,500km east of Australia and 1,000km from our nearest Pacific Island neighbours, New Zealand’s isolation from heavily populated and polluted areas make our waters one of the most pristine marine environments in the world. 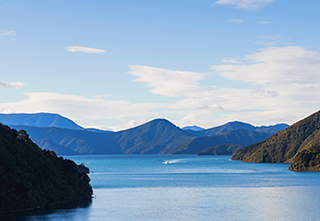 Our spectacular coastlines and water purity make New Zealand an ideal country for growing seafood. In fact there are more than 15,000 known marine species in our waters, which accounts for about 10% of the world’s diversity. With the vast majority of New Zealanders living just a short drive from our spectacular coastline, we cherish what we have here. Almost 90% of New Zealanders eat fish at least once a month, with just under half eating fish at least once a week. 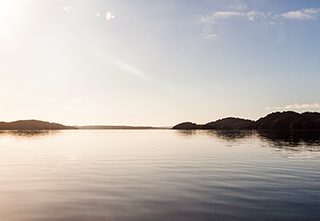 With 96% of our territory under water, sustainability is central to everything we do at Sanford – we treat our seafood with the respect it deserves and will continue to take care of it for future generations to enjoy. We care about the unique resource we have here in our big blue backyard.